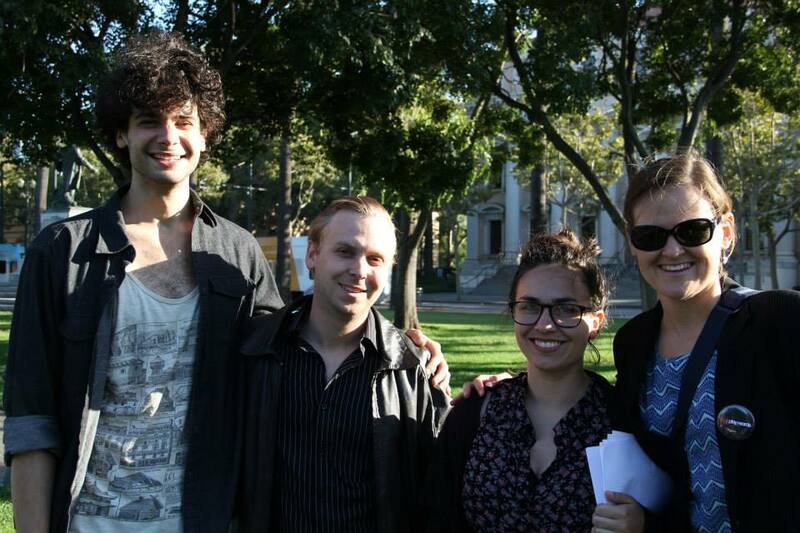 Adam Magill, Brian Van Winkle, Melinda Marks and Julia Halprin Jackson at our July show in San Jose’s St. James Park. Big news: Our next show has been confirmed for Wednesday, January 6, at San Jose’s Cafe Stritch. We need solid content to produce–and so of course we are turning to you first. If you’ve got something that you feel fits the bill, email it to us as an attachment at playonwordssj@gmail.com. We are seeking day-of volunteers. If you are interested in volunteering with us, kindly check out our volunteer survey. Feel free to forward this call to all the fabulous artists in your life or post the details to your social media. We love meeting new artists.